The Purobio Precision Brush for Eyes is perfect tomakeup small areas of the face! The shape of its flat, rounded hairs creates fine lines, light points and precise details. Synthetic and semi-rigid hairs, this small brush is easy to use for a professional make-up! The PUROBIO Small Zones Flat Brush is precise to enhance your eyes! 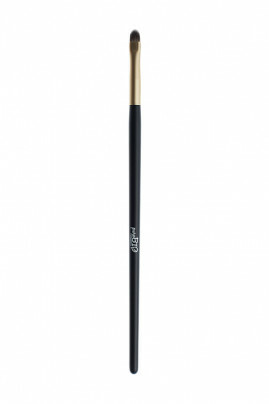 Using the Purobio Flat Brush n°5, apply a clear eyeshadow to the inner corner of your eyelid to create a point of light. Perfect for eyeliner strokes, lightly moisten the brush and apply your eyeshadow with the upper and/or lower lashes.